Superimposing Picketty’s observations on urban history, one finds sympathies with Kotkin’s remark. Although many are quick to show that the suburbs have a history that extends at least to the era of the Roman Empire, their massive explosion in America and around the world align with the redistribution of wealth timelines highlighted in Capital in the Twenty First Century. Robert Bruegmann’s Sprawl: A Compact History is as good a book as any to connect the growth of suburbs to the increased wealth of the populace and rise of the middle class. More controversial, however, are his insights about the anti-suburban sentiments we commonly hear today. He suggests that these are products of intellectual elites, and emphasizes the validity of the suburban landscape as a choice rather than an imposition. Within the context of Picketty’s examination, prior to the brief economic anomaly around the world wars, land and buildings dominated the national incomes in various countries. In Britain, as in many other places, housing (including the land on which is was built), accounted for roughly a third of the national income in 1910. It was roughly half in France. Within this context, the post-war suburban explosion may finds its corollary in the fact that people of that time understood that housing and land were one of the most direct and accessible means of accruing wealth in the future. Assuming Picketty’s assertion is correct and that this is the only known time in history wealth has been redistribution to this extent, the same suburban fabric heavily vilified by contemporary planners, urbanists and Bruegmann’s “intellectual elites” may very well be the closest humanity has ever come to the creation of an economically egalitarian, democratic city. Is it possible that the current love affair with high density cities and development are ill-placed? That the amorphous, polycentric suburban landscape offers, in fact, the strong foundation of what a city should aspire to be? The suburbs are an imperfect model, to be sure, but they are also extremely varied—from streetcar suburbs of the late 19th Century to the contemporary fabric strip malls and super-sized arterials. To condemn them all under a single category is a vast oversimplification. Moreover, the often slandered detached homes with which suburbs are associated have evolved in very complex ways—creatively accommodating higher densities and multigenerational immigrant communities. The vast amount of open space available in these areas also offers incredible opportunities, unimaginable in very dense city centres, to meaningfully integrate natural systems into planning efforts. Perhaps the suburbs warrant stronger sympathies than those given to it presently, after all? Moreover, that wealth concentration is going back to its seemingly steady state of concentrating capital in the hands of a few demands critical reflection on the current evolution of cities—the least of which asserts that everything we know about the suburbs may in fact be wrong and that the great democratic city experiment may be on its last legs. Is it a random coincidence that the increasing divergence in wealthy distribution as outlined by Picketty has a frightening parallel with the growing popularity of the ‘dense’ urban city, an urban form that explicitly resonates with the hierarchical, core-focused cities of the past when wealth was, in fact, concentrated in the hands of a few? Is it possible that the most progressive planning and urban design practices and policies to-date—those championing our current priorities: ‘sustainability’ and inclusivity through extreme densification—are directly contributing to the divergence of wealth, despite intentions and claims of doing the opposite? Consider the practice of lot assembly, one of the most common practices used today towards densification—a process with a stronghold on claims of urban ‘sustainability’ and affordability, among others. Currently, consolidating multiple lots is a logical step in the pursuit of profitability: the underlying belief being that adhering to the logics of the market would ultimately benefit everybody in the end. This is founded on the idea that minimizing costs for the developer and lowering costs through construction efficiencies (minimizing elevators, stairs, etc.) can be passed on to those purchasing, giving them a leg-up in turn on entering the housing market and generating wealth accordingly. Picketty’s observations question the validity of this development real estate narrative. Although this may have held true during the post-war years, it has been gradually emigrating away from ‘reality’ for decades. This is blatantly clear within the context of the skyrocketing market values for urban housing that cripple our present-day cities. Affordability is seemingly at an all-time low in many cities such as Vancouver, despite the incredible rate of construction of new, high-density buildings. So, for whose benefit is this everyday practice truly directed? And to what degree will the oft quoted narrative of simply supplying more buildings to accommodate an invisible yet increasing ‘market demand’ actually solve the problem? Looking at the results of this logic to-date, the claims of ever larger, denser buildings and consolidated lots as being more sustainable, increasing affordability and benefiting the wider public ring hollow. Simply put: the current development model within which land assembly is a critical component is inefficient at distributing value in an equitable way. Small lots will support resilience because they allow many people to attend directly to their needs by designing, building, and maintaining their own environment. By ensuring that property remains in many hands, small lots bring important results: many people make many different decisions, thereby ensuring variety in the resulting environment. And many property owners slow down the rate of change by making large-scale real estate transactions difficult. Economically, ensuring that property remains in the hands of many—as was the case in the growth of the early suburbs—also allows more people to extract economic value, as the wealthy had done for centuries prior to the wars and are continuing to do currently. This is something that land assembly and its associated call to exceedingly high densities explicitly undermines, by allowing singular entities (development CEOs, etc…..or ‘super managers’ if you will) to actively grow their capital at a much higher rate than others. Regulatory policies such as Community Amenity Contributions have done minimum, if anything at all, to curb the growing disparity. One wonders about the possibility of systemic change that fosters densification through lot subdivision, instead of lot assembly, as a means of equalizing the real-estate playing field. An option that takes standard infill developments a step further by allowing property owners to legally subdivide and sell their land. To be clear, this is neither an endorsement of low-density settlement patterns nor an attack on compact development. Such a division oversimplifies the issue. In shedding light on how the basis of our political, economic and social system lies within the illusory realities of a bygone era—concealing itself and its inherent contradictions as present-day common sense—Capital in the Twenty First Century inspires a call to fundamentally question the current logic that underpins contemporary development and planning thought. 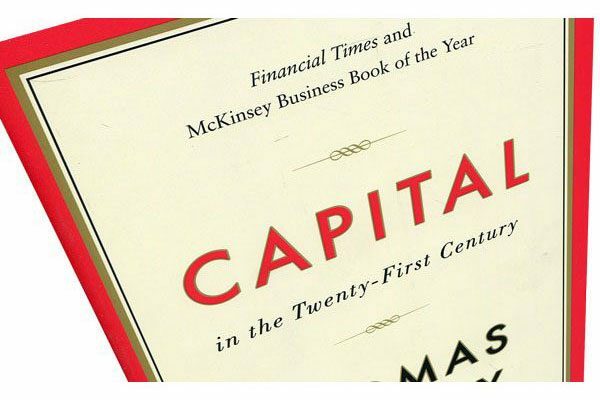 The next and final part will focus on common foreign-ownership narratives, tying them to themes discussed in Thomas Picketty’s Capital in the Twenty First Century. Excellent article. We take up the problem of lot assembly this Wednesday at the Urbanarium debate. Its very relevant to this article and aligns with its conclusions. It is also a bit odd to appreciate the suburbs for the green yards around detached houses without mentioning the square miles of asphalt associated with transport implementations of detached houses with yards.